Newfoundland is becoming an increasing popular destination for travellers – and, with good reason. From spectacular scenery and a wealth of outdoor adventures to abundant wildlife and incredibly friendly people, this easternmost Canadian offers the chance for an unforgettable escape. 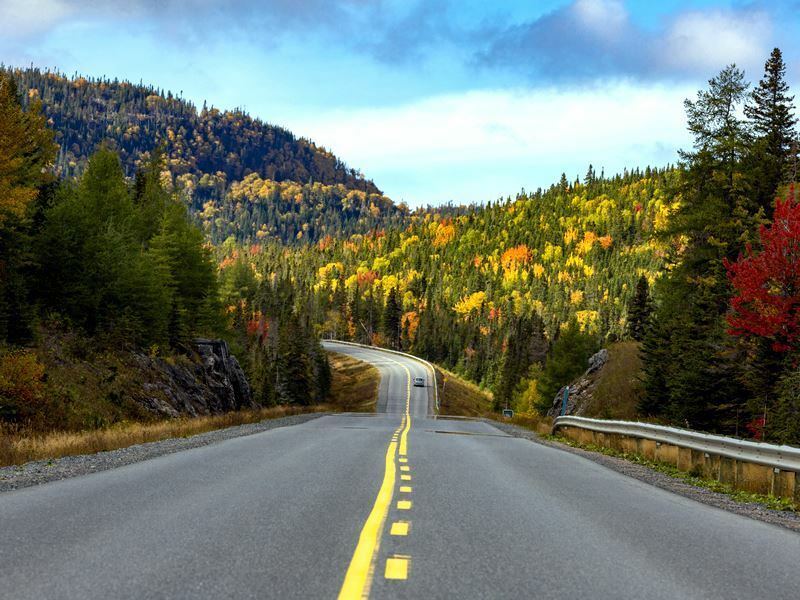 This ultimate tailor-made road trip is truly a grand adventure, travelling from the capital city of St. John’s to the Great Northern Peninsula. 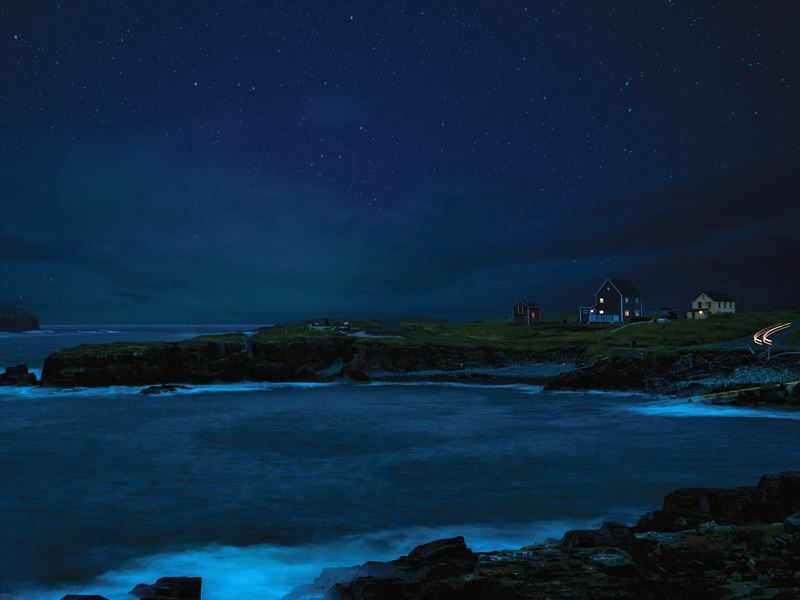 The capital city of Newfoundland and Labrador may be relatively small with a population of around 150,000, but it packs a punch when it comes to things to see and do in an especially atmospheric setting. Its famous Jellybean Row along Holloway Street is lined with vibrantly coloured homes that gives it a cheery feel even on dreary days. Head to the top of the street and you can capture a postcard-perfect photo of the houses and the harbour below. It’s worth waking up early to catch the sunrise from Cape Spear, the easternmost spot in the western hemisphere. It’s the first light of the day to touch the Northern American continent, which will all be to the west of you if you stand with your back to the Atlantic. From here, depending on the season, you might be able to spot icebergs and whales. The area is also home to the province’s oldest surviving lighthouse, flashing since the mid-19th century. Signal Hill is another great spot to take in an amazing view and delve into some of the city’s history. 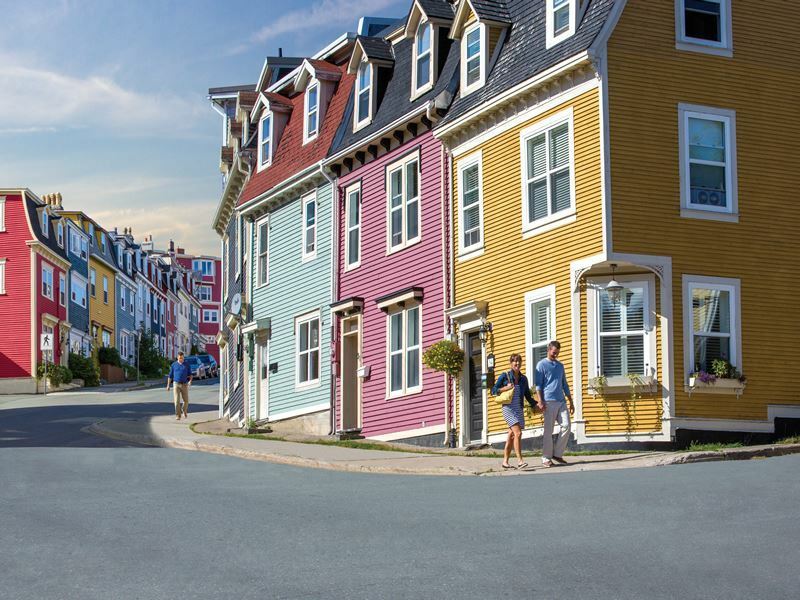 One of its most popular landmarks, on one side, you’ll discover sweeping vistas of St. John’s and the harbour, and the other, the endless expanse of the Atlantic. This was the site of harbour defences from the 16th century to World War II. In 1901, it was the spot Guglielmo Marconi received the world’s first transatlantic wireless signal. It’s a wonderful place to enjoy a coastal walk, keeping an eye out for humpback, minke and other whales that frequently pass during the summer months, and icebergs that float by, typically in May and June. If you want to experience nightlife, George Street is the place to go. Renowned for local live music, it hosts the most pubs and bars per square foot than any other street on the continent. Driving north to the Bonavista Peninsula, as you round the bend and colourful Trinity comes into view, you might easily mistake it for a movie set. 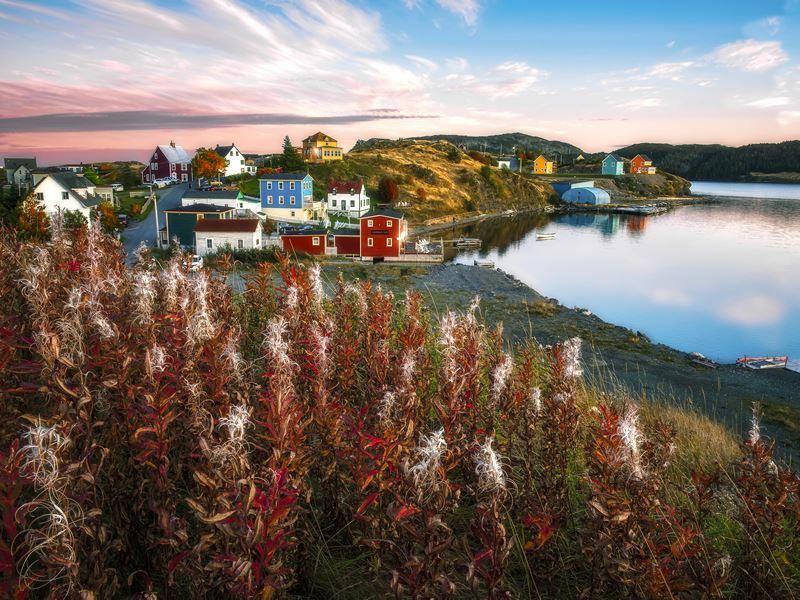 It has been used as a filming location, in 2013’s ‘The Grand Seduction’ and 2001’s ‘The Shipping News,’ but it is a very real town and incredibly picturesque, filled with postcard-worthy saltbox homes and other historic buildings that remain well-preserved from the 18th century. Look forward to dinner theatre at the Rising Tide Theatre with the local players focusing on fun traditional Newfoundland songs, and enjoying all sorts of recreational activities, including hiking and whale watching. This is a top spot for watching many different whale species, including humpback, minke, sperm, pilot and the occasional orca whale. The best way to spot them is to join a whale watching excursion via locally-run Sea of Whales Adventures. Sightings are at their peak in July and August but it’s possible to spot them anytime from June through September. Other animals like porpoise, dolphin, bald eagles, northern gannets and puffins may be seen as well. If you’re up for a hike, you’ll be perfectly based for embarking on what’s been called one of North America’s most scenic, Skerwink Trail. Just a few minutes north of Trinity, the 5.3-kilometre coastal trail meanders alongside the cliffs, passing sea stacks and caves, as well as icebergs, puffins and whales in season. Further north up the peninsula, Elliston is a must day trip while in Trinity, famous for its rocky outcrop referred to as ‘Puffin Island.’ This town that was once called Bird Island Cove offers one of the closest land views of puffins you’ll find anywhere. From May through September, thousands of sea birds can be seen buzzing around, providing hours of entertainment and incredible photo opportunities. Nearby you’ll see the Sealers Memorial Statue. Located at the edge of the sea, it depicts a local father and son who lost their lives in the 1914 SS Newfoundland Sealing Disaster, with a memorial granite listing the names of 364 men and boys whose lives were taken in the tragedy. Nearby Bonavista is home to one of the world’s few remaining lighthouses where you can climb a stone tower and view a seal oil-fueled light that was used in the 1800s, as well as experience what it might have been like to be a lightkeeper in 1870, a 24/7 job that required diligently watching the waves, recording weather patterns, polishing glass and filling oil lamps. 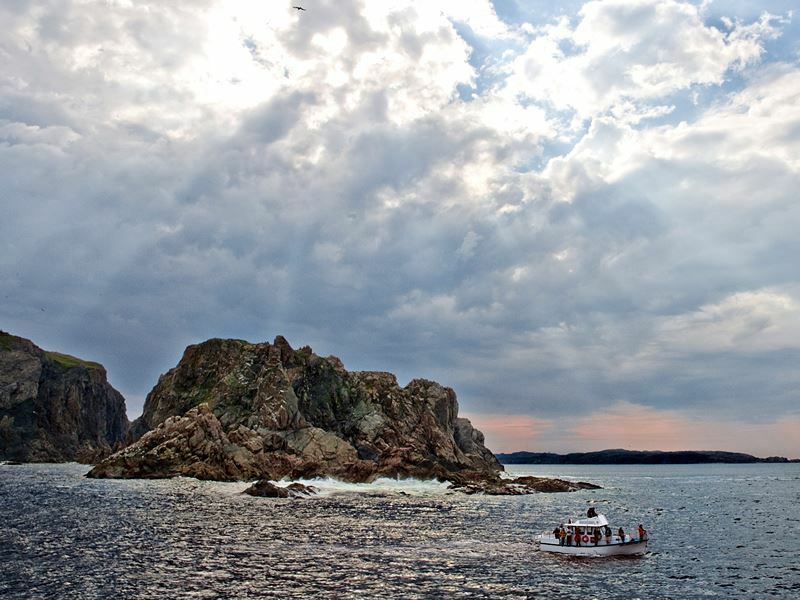 Continue north to Twillingate, the ‘Iceberg Capital of the World,’ located at the edge of ‘Iceberg Alley,’ where 10,000 bergs float by in season. Here you can also sample some unique wine, with Auk Island Winery producing wine made from Newfoundland berries and other specialty wines using Iceberg water. Take a guided tour to find out more and even enjoy some homemade wine ice cream too. Be sure to visit one of the area’s most photographed landmarks, the Long Point Lighthouse which provides a fantastic lookout point for panoramic vistas of the Atlantic, and the chance to spot all sorts of sea birds, seals, whales and icebergs. There are multiple walking trails that can be accessed here too, with the Long Point to Sleepy Cove trek one of the most popular. Twillingate also hosts a popular dinner theatre which includes delicious meals along with skits and live music that provide an authentic taste of the province. 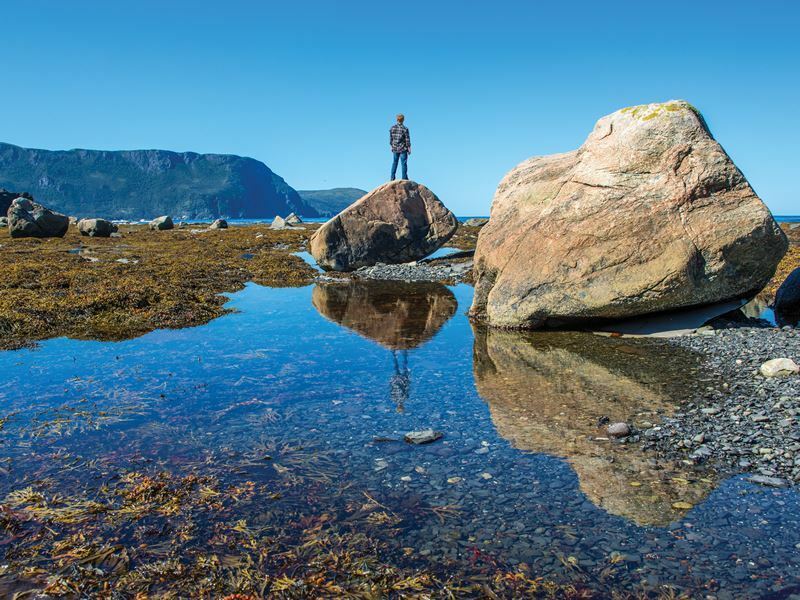 Journey to the west coast of Newfoundland and the town of Rocky Harbour, located in Gros Morne National Park. The park’s diverse landscape includes everything from the dramatic Long Range Mountains, freshwater fjords and waterfalls, to beaches and the Tablelands, a mountain of flat-topped rock, typically found only deep within the earth’s mantle. This is a hiker’s haven and a wildlife enthusiast’s dream, home to one of the world’s highest concentrations of moose. The park’s most popular attraction, the Western Brook Pond boat tour, is a must experience that begins with a 3.2-kilometre walk followed by a boat ride where you’ll glide between vast billion-year-old cliffs sprinkled with cascading falls that spill into the freshwater fjord below. 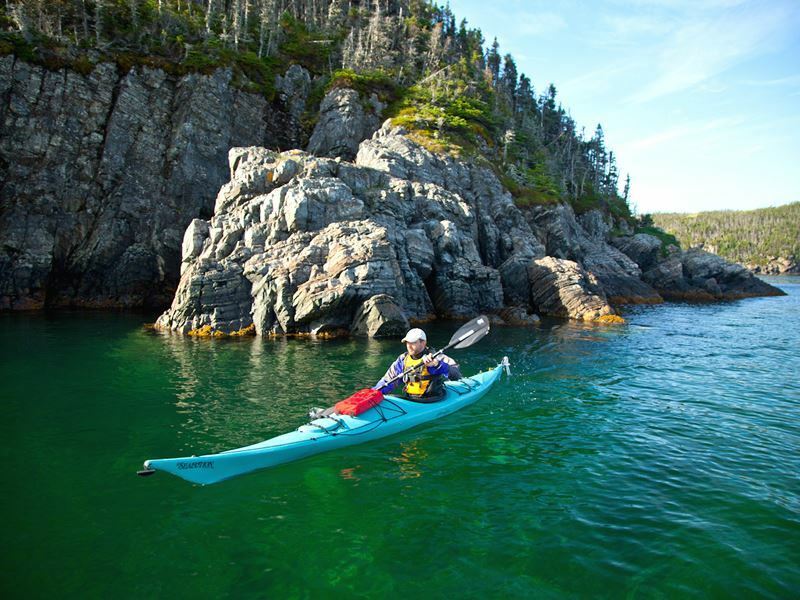 Two of the other highlights that are easily doable within a short stay include the Lobster Cove Head Lighthouse and the Baker’s Brook Falls Hike. The latter is a relatively easy 9.6-kilometre return trek that meanders through balsam fir forest, much of it following boardwalk, with moose often spotted along the way. Bring a picnic and take in the view from the one viewing platforms amongst the mist of the falls. The lighthouse along the entrance to Boone Bay is open for public tours and it also serves as a museum showcasing the history of early residents who depended on the sea for their survival. 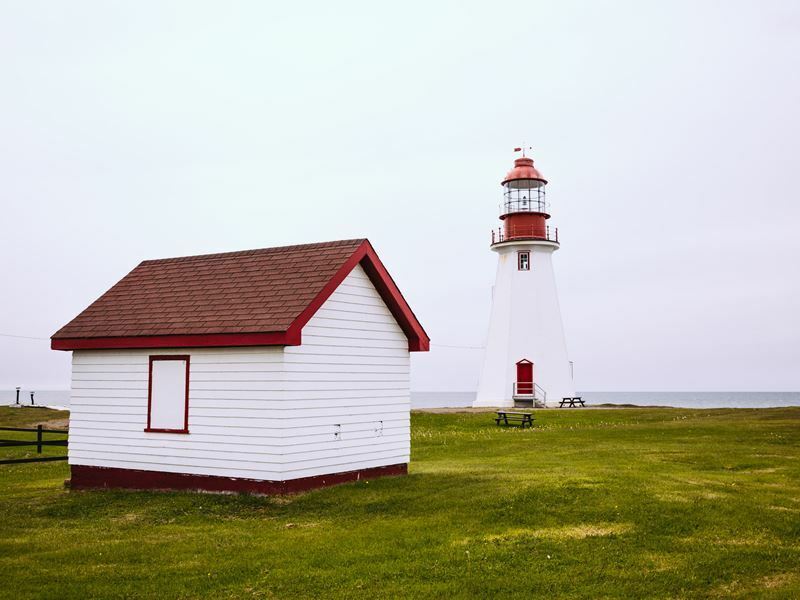 Make your way north along the west coast towards St. Barbe, with a stop at Port aux Choix National Historic Site along the way. Here you can explore 6,000 years of human history, with the rich bounty of the sea enabling people to thrive long before Europeans arrived. The visitor centre reveals more about the various cultures who hunted the seals that frequently came through on ice flows for food, clothing and shelter, with a treasure trove of original artefacts like slate spears and harpoons. 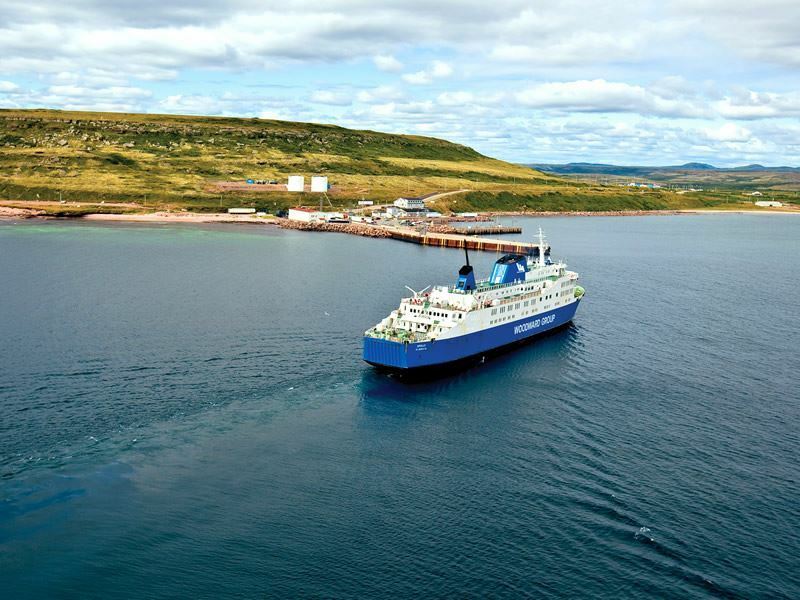 St. Barbe is just an hour north of Port aux Choix and serves as the departure point for your journey by ferry to Labrador. You’ll sail across the Strait of Belle Isle, part of Iceberg Alley with numerous bergs moving through in late spring and early summer. Seals, whales and seabirds are commonly spotted during the 90-minute trip as well. 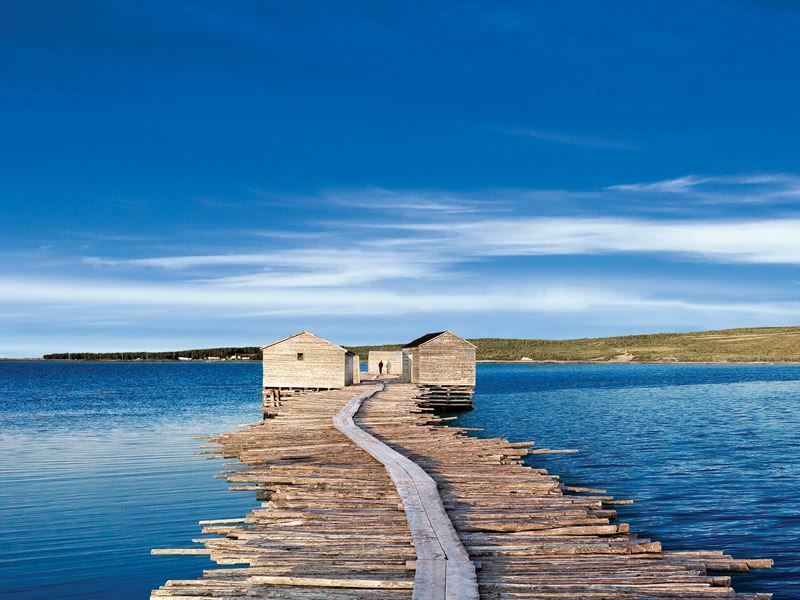 You’ll dock in Blanc Sablon, Quebec, minutes from the Labrador border. Be sure to stop at the Gateway to Labrador Visitor Centre located within a historic restored church to learn more about this region’s history, and make the short drive and walk from L’Anse au Claire to view the Jersey Rooms, the remains of a business established by Jersey fisherman in the late 18th century, and enjoy a picturesque sandy beach. Travelling north along the coast, the community of Mary’s Harbour surrounds St. Mary’s River with White Water Falls reached via a short trek up the river. From here, you can hop on the boat to visit the Battle Harbour National Historic District which has a fascinating history that also includes Sir Wilfred Grenfell, along with Arctic explorer Commandeer Robert Peary. Historic residences have been transformed into visitor accommodation, while interpretive centres and guided tours are available to bring the small island’s 200 years of history to life. After returning via ferry from Labrador, head further north to St. Anthony near the tip of the Great Northern Peninsula where on any given day you might see more whales and moose than humans while breathing in some of the freshest air on the planet. By visiting Fishing Point Park and climbing the nearly 500 steps to the top of Fishing Point Head, you can take in an incredible view over it all. This is also one of the best places for marvelling at icebergs, if you’re here in May, June and possibly July. For 10 days every year in early June, the city hosts the Iceberg Festival, with the opportunity to enjoy a variety of events here and throughout the region in the small villages of Straitsview, Raleigh and St. Lunaire-Griquet. Screech-Ins, polar dips, live music and iceberg tours are just some of what awaits. Learn more about the Great Northern Peninsula and its hardy people by visiting the Grenfell Interpretation Center and Grenfell House, which features artefacts and exhibits that tell the story of real-life hero Dr. Wilfred Grenfell who played a key role in the region’s history. 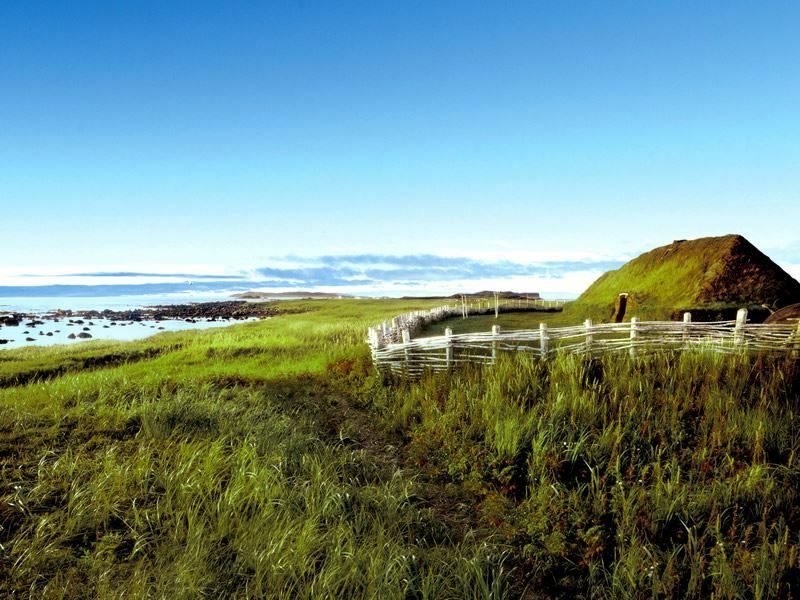 A short drive north of St. Anthony is the L’anse aux Meadows Vikings Site, which offers proof that the Vikings set foot on the North American continent around the year 1003 AD. It’s home to the only authenticated Viking settlement site and features a replicated turf-walled longhouse along with other buildings that reveal a glimpse at life here more than 1,000 years ago. A few minutes from here is Norstead, a recreated Viking port of trade. Delve into Viking life by playing a traditional Norse game, throwing an axe, sitting in a chieftain’s chair, sampling traditional foods and more. Making your return back to Gros Morne National Park, Cow Head is a great place to spend the night. 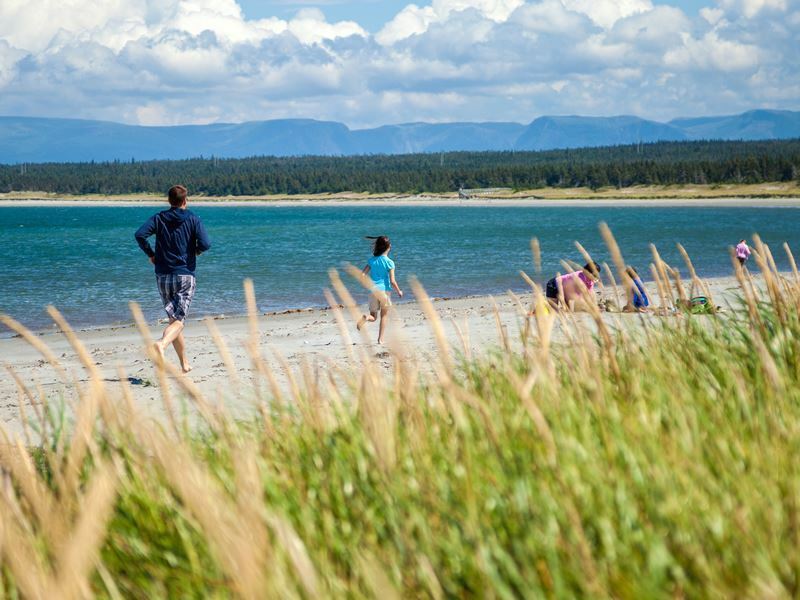 It has one of Newfoundland’s longest sand beaches, Shallow Bay Beach, stretching for miles and miles, making it ideal for a pleasant stroll as well as for swimming and clam digging. Take the short Lighthouse Trail and you can enjoy an unbeatable view of the coast and visit a small lighthouse to climb the ladder and take in a spectacular ocean view. In the summer months, you’ll have the opportunity to catch a variety of events like live music, plays and outstanding dinner theatre at The Warehouse Theatre. Continuing your return to St. John’s, spend the night in the small town of Gander, which may best be known to the world where on September 11, 2001 as the Twin Towers in New York City were collapsing, as the place that took numerous stranded passengers in. There were 38 jets rerouted here, with over 7,000 passengers from 95 different countries stuck in a town with only 500 hotel rooms available. The entire community came together to care for them all and the story became the subject of a Broadway hit, ‘Come From Away.’ If you want to learn more, you might want to take the Beyond Words Tour that highlights many of the sights from the musical. It provides an inside look at the events of 9/11 through a tour of the town, including Gander International Airport and Gander Town Hall, as well as a talk with a local and an exclusive exhibit. It’s worth making a stop in Terra Nova National Park as well, especially to view the scenic hills and cliffs at the mouth of Newman Sound. It’s a great place for a hike, with the Coastal Trail, a 9.5-kilometre return trek following the shoreline, meandering through the forest, leading to Pissamere Falls. It also offers outstanding viewing access to a Canadian Wildlife Bird Sanctuary where you can watch for bald eagles, ospreys, spotted sandpipers and more. There’s even a warm swimming area at Sandy Pond if you’re up for a dip.